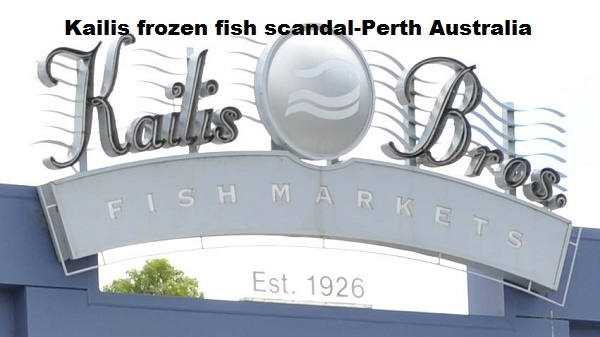 The Kailis Bros frozen fish scandal in Perth Australia leads to repackaging! The Kailis Bros frozen fish,refreezing episode just goes to show how social media can be a great thing when used properly. should be an investigation into this.We are talking about possibly peoples lives here. The Canning Vale-based business was the subject of a social media storm this week after a Perth dad accused it of failing to clearly label if a product was previously frozen. The father said he froze the crumbed whiting at home because there was nothing on the packet to suggest it had already been thawed. But he claimed his young son became ill hours after the fish was defrosted and cooked. Packaging he posted on Facebook shows the fish is described as “hand selected for quality and freshness”. On the back, it states the fish was “packed in Australia with whiting from Vietnam” and advises it be “refrigerated below 5C”. There is no mention of the fish having been frozen and thawed. A Kailis Bros spokesman said: “Although the label met the Australian compliance standards there was some ambiguity which could result in consumers storing the product in a way that was never intended. The same product at a nearby Coles did not carry the warning. In December, Kailis was fined $10,800 over packaging of “just caught prawn meat”. The ACCC ruled the product “gave the misleading impression that it was packed and processed in Australia”. Fine print showed the prawns were packed in Thailand.